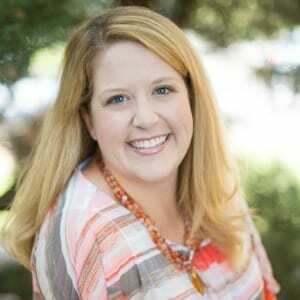 Beginning color theory is all about mixing colors to obtain new shades. 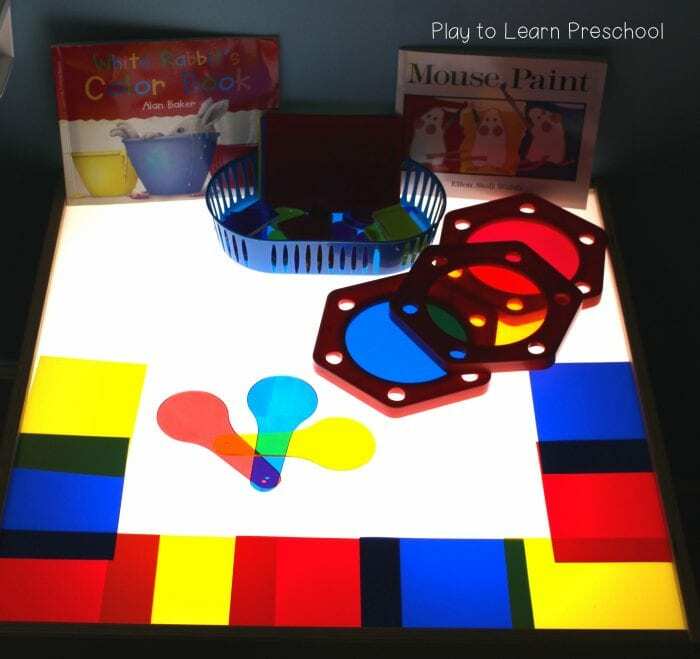 As children are naturally attracted to bright colors, the light table is an exciting tool to help them understand color theory! It’s a bright and beautiful world, and children love bold colors. 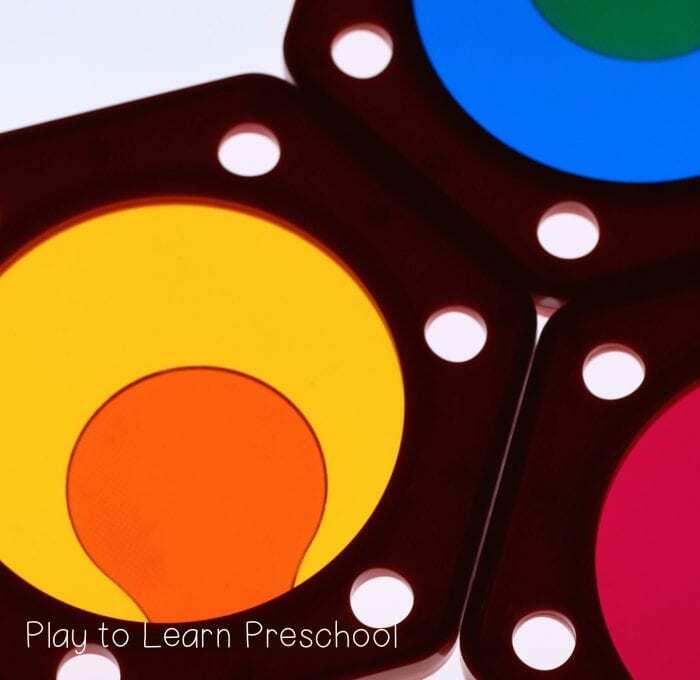 Recognizing the colors and identifying the color names is an important marker of a child’s development. Did you know there’s also a literary component? 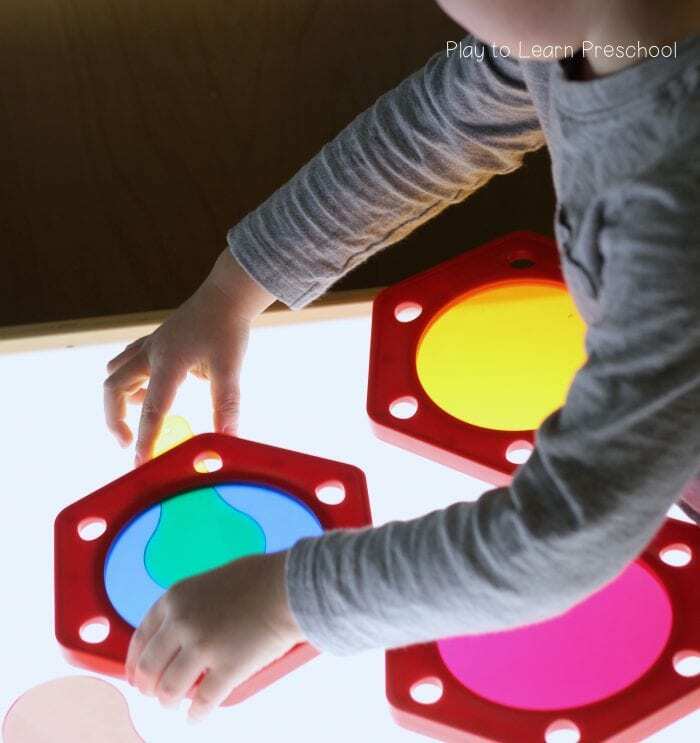 Identification of colors helps children strengthen the cognitive link between visual clues and words. 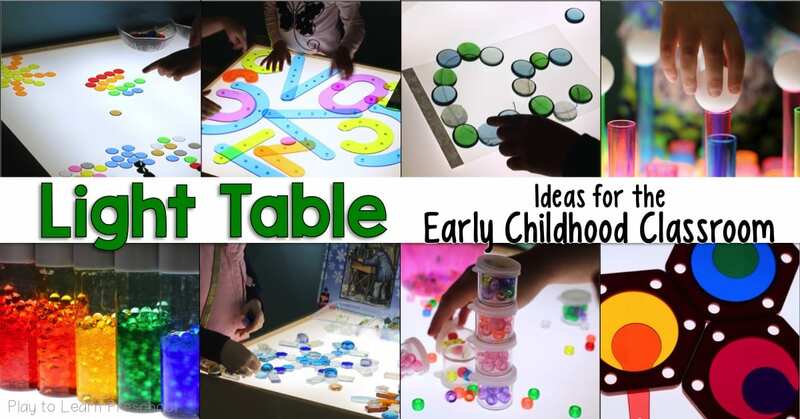 Make sure to give the children access to the books at your light table center so that they can revisit and recreate the book! However, there are many more resources you can use. 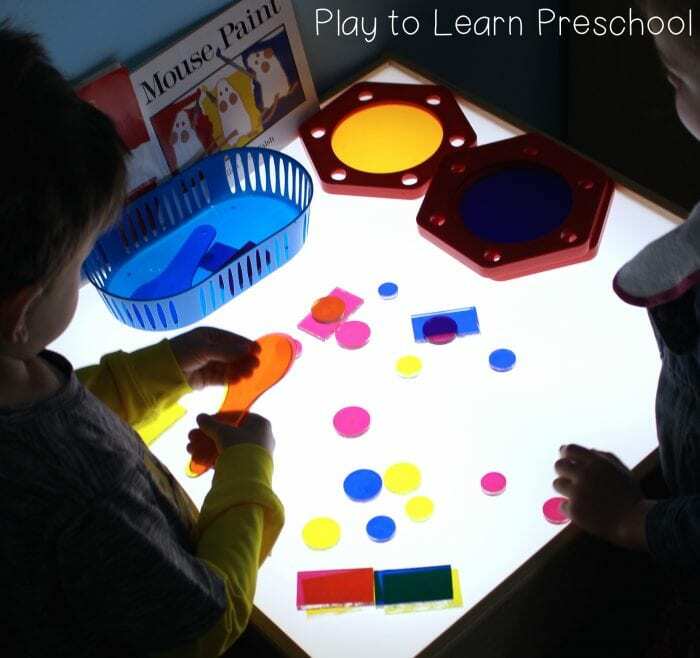 If it’s transparent and a primary color, it’s perfect for this activity! For example, these cellophane sheets are an economical choice. Want more activities? Check these out! 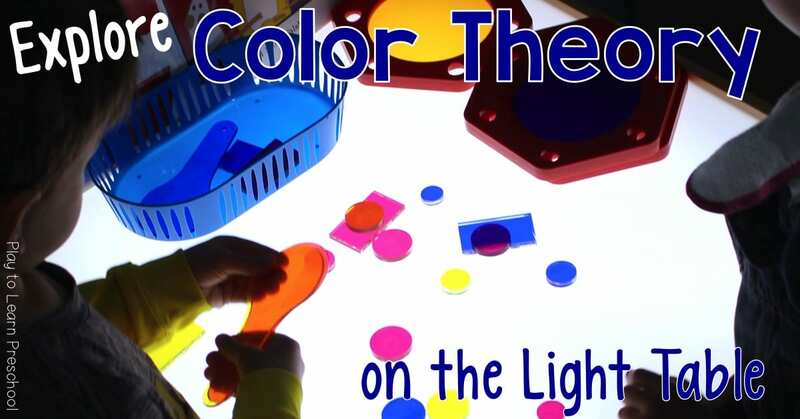 Color theory and eye droppers – a great way to build fine motor skills while learning! A whole list of aweseome color mixing activities!